Whether your anxiety is a simmering pot of worries that keep you tense and on edge or you experience full-blown panic attacks including physical symptoms like heart palpitations and shortness of breath, help is available. 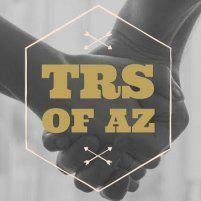 At Trauma Recovery Services of Arizona in Goodyear, Arizona, board-certified counselor Jordanna Saunders LPC offers customized therapy to help you learn to manage your anxiety and adjust your behaviors to lead a fulfilling and healthy life. Call the practice or schedule an appointment online today. It’s normal to feel stressed or worried from time to time. It’s a common emotion that helps keep you and your family safe. However, when you live with excessive levels of fear or anxiety concerning situations that aren’t usually dangerous, you may have an anxiety disorder. Anxiety causes a variety of symptoms including emotional symptoms like feeling nervous or having a sense of impending danger. You may also have physical symptoms like heart palpitations, sweating, shaking, or shortness of breath. Anxiety can also disturb your sleep or cause concentration issues and indecisiveness. Some physical health conditions can produce or aggravate anxiety symptoms such as thyroid problems or heart conditions. The precise cause of anxiety isn’t fully understood. However, your family medical history and genetics contribute to your risk of the condition. If you or a family member have a history of anxiety or other mental health disorders, you’re more likely to develop an anxiety disorder. Other risk factors for anxiety include trauma, drug or alcohol misuse, and a personal history of neglect, poverty, or abuse. Jordanna offers customized therapy to help you learn to cope with your anxiety and adjust your responses to your intrusive thoughts and fears. Many of her patients benefit from cognitive behavioral therapy (CBT) and eye movement desensitization and reprocessing (EMDR). CBT is a specific type of therapy where you learn to recognize and re-evaluate your thought distortions. You practice problem-solving skills and change your behavioral patterns, developing a greater sense of confidence in your own abilities. EMDR combines repetitive and rhythmic eye movements with talk therapy and elements of CBT. The eye movements — or tapping or audio stimulation — stimulate your brain and unblock memories and emotions that have been suppressed by trauma or stress. EMDR helps you uncover triggers and fears so you reprocess them and replace the negative thoughts and feelings surrounding them with a more positive or productive outlook. If anxiety is preventing you from leading a full and active life, call Trauma Recovery Services of Arizona or make an appointment online today.